Home / MOVIE REVIEWS / "Captain America: Civil War" Movie Review: #TeamCap or #TeamIronman? "Captain America: Civil War" Movie Review: #TeamCap or #TeamIronman? The 3rd installment of the Captain America series franchise is all about a decision that will affect the totality of all superheroes in the Marvel Cinematic Universe. Happening almost a year after the events that happened in the fictional country, Sokovia in the "Avengers: Age of Ultron" movie, the "Captain America: Civil War" movie will show us how a once united superhero army becomes divided and went on separate ways with only one little decision or move that they will do. 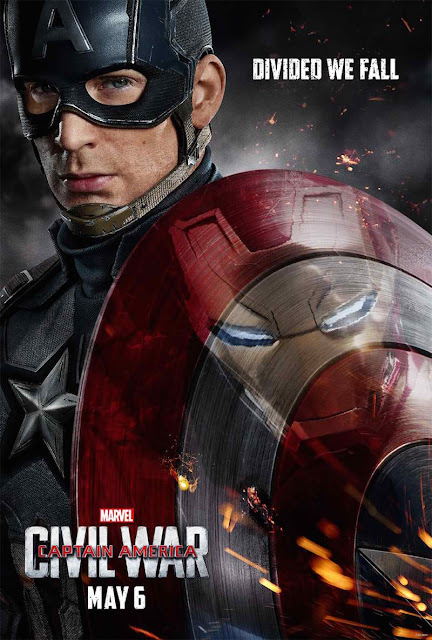 The movie's storyline will revolve around Captain America's principles versus Iron Man's ideologies. Captain America will have to be on the run to fight for what he knows is right. Meanwhile, Iron Man is on the loose to hunt Captain America and his team. It's a fang on fang, metal shield versus the iron suit in the quest for victory in this superhero civil war. The overall feel of the movie is something similar to watching an action film, rather than of a superhero movie. It has intensity, it has explosions, it has superb action scenes and stunts, and it has drama. The drama thing is not likely for a superhero movie, but in this case, it's different. The drama thing simply works! The direction of the movie is also a bit different from the other twelve Marvel movies connected to this story arc. We highly commended the direction of this movie because of the action sequences that were neither lacking nor too much. The movie has the right kind of blend of entertainment, action, explosions, twists, and drama. Overall, "Captain America: Civil War" movie will win the war in the box office battle with whatever movie will go against its playdate or perhaps the premiere week because I'm pretty sure they will not win over the great storyline, action sequences, stunts, and drama this movie has to offer. It's an all-in-one movie, and I am not being biased at all! Hahaha! A 10 out of 10 stars review!